Burgundy, my favourite fall/winter colour: not as serious as black, less boring than blue and more cheerful than grey with that extra edge of red. 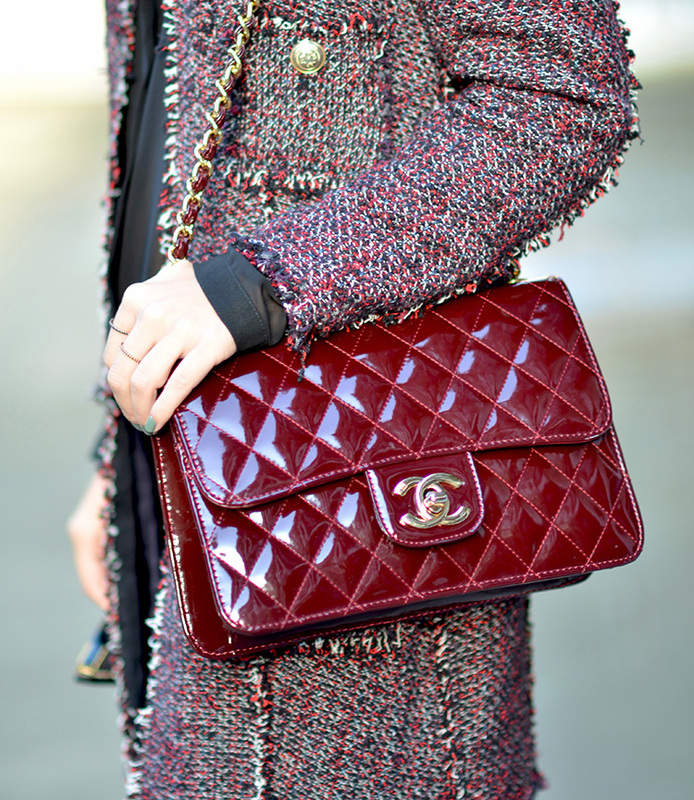 When I saw this burgundy coat in Zara the other day I couldn't help but feel it would be a perfect addition to my winter wardrobe and a great companion to my red Chanel vernis- don't you think they look quite nice together? I wore them yesterday during daytime with a pair of subtle snake print jeans and black suede booties. Hope you like the combo as much as I do! very cool, i love all the details! panemorfos sunduasmos teleio to palto kai ennoeitai pws latrepsa thn tsanta! That jacket is soooo lovely! love it! One of my favourite autumn colours too. Nice jacket and bag.